If you are born on this day, you share your birthday with famous people born on January 5th. They are the kind of Capricorn who do things on a whim. They are not afraid to go anywhere as it is real easy for them to blend into their surroundings. 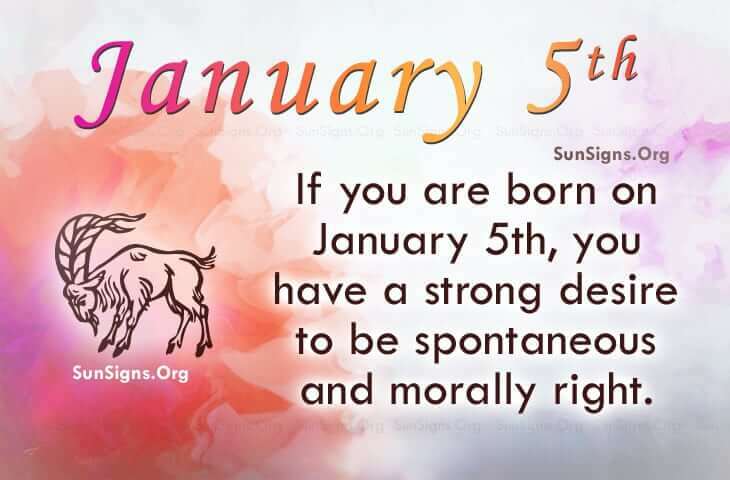 It is said that famous people born on January 5th are optimistic, talented and prominent chameleons. They let nothing get them down. Their friends are mirrors to themselves and usually they are long term but when it comes to love, that’s a different story. The sexual attraction for famous people with birthdays on January 5th may be strong at first. But then it seems to lose something along the way. Then they are irritated by the mere thought of a partner. This could have something to do with their natural grumpiness or their standards may be to ideal or unrealistic. Famous people born on January 5th have a habit of playing in dirt to calm their nerves. Landscaping puts them in touch with their creative side. They can come up with solid solutions to their problems when they are relaxed and bounded by beauty. Read on to get a list of January 5 famous birthdays.